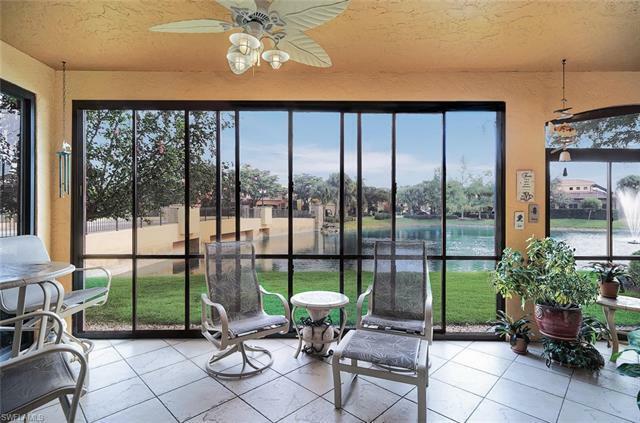 8525 Via Garibaldi Cir #101, Estero, FL.| MLS# 219001062 | Southwest Florida Residential Real Estate for Sale. This Wonât Last Longâ¦Finallyâ¦a.. 1st FLOOR âEND-UNITâ âCARRIAGE HOMEâ on the Market!!! The âWOWâ Factor is Awaiting Your Arrivalâ¦âWhat a VIEWââ¦. "LOADED WITH UPGRADES"...This Levanto Floorplan 3 BR / 2BA / 2 Car Garage offers approx. 2, 016 sq.ft. of Living Area with a Total of 2, 778 sq.ft. SOUTHERN EXPOSUREâ¦ Panoramic View of the Lake and Lit Fountains in the Vibrant Heart of Estero, Rapallo at Coconut Point. From the moment you enter this Gated, Maintenance-Free Community You're Surrounded by the Beauty of the Italian Mediterranean and Exclusive Resort Lifestyle Amenities which include: Clubhouse w/ Indoor Seating and Outdoor Cafe, Full Catering Kitchen w/ Bar, Lagoon Pools, Rock Grotto Spa, Sauna, Tennis Center w/ 5 HydroCourts and Stadium Seating, State-of-the Art Fitness Center and Olympic Lap Pool, Stocked Lakes, Bocce Courts, and Botanical Gardens. Upscale Shopping, Restaurants, Movie Theatre and Entertainment is only a short walk away. Rapallo is minutes from the SW Florida International Airport, Miromar Outlet Mall, Gulf Coast Town Center, and the Gulf of Mexico.. YOU TRULY DESERVE TO BE "WOWED" and Make This Home âYOURSâ!! !